to get both better quality ‘strip’ hair vs this hybrid approach? Don’t 90%+ patients have at least 2 strips available if done properly? Now he gets this wiry beard/chest hair in his midscalp and probably has another 2k to 4K+ left of ‘strip’ hair. I don’t agree w/this clinic’s approach. The hairline is NOT refined nor dense-packed enough either. Even Indian hairlines can look good if dense-packed w/pure single grafts and enough irregularity. This is not a superior result at all. I would like to hear the doctor’s reasoning behind this ‘hybrid’ approach. I don’t believe patient is limited to 2.5K of ‘strip’ donor. Also, these pictures are WEAK. Doctor should present at least 1 front, 1 front chin down, 1 back, 1 top & 2 side before/after pics and very close-up pics of hairline and graft placement as well as donor before/after pics. This isn’t good enough. Please do better w/more pics and a more detailed pre-op/post-op patient profile. If doctor is too busy please train your website/internet staff better w/more detailed consult with doctor. Better presentation pics are encouraged. Strip is barbaric, why would you even suggest strip? strip/FUHT in one or two sessions. That is why we post all results whether it’s of strip/FUHT or mega session strip/FUHT + FUSE or only FUSE not only cherry pick results. It’s a duty of any HT clinic to discuss the best approach of HT surgery for his/her patient. However forcing HT surgery strategy to his/her HT patient is not a practical judgement. Patient is free to choose and can plan HT strategy based on their budget and Donor area. In my case, I also used beard transplant to solve two purpose. One purpose is to get rid of dense beard and to preserve the scalp donor area. If you will read my HT strategy, it would not be acceptable for everyone, but is best for me as per my circumstances. Kindly go though my HT surgery history in provided link below. In A209, it may be possible that, patient might planning to get rid of chest and beard hair also and also to preserve the scalp donor area. In Pics, I am seeing curl (marked in red circle) hairs in donor area. Selecting more donor area from scalp may increase the more curl to the existing hairs, which may look bad. Strip surgery will also create scar to the patient. 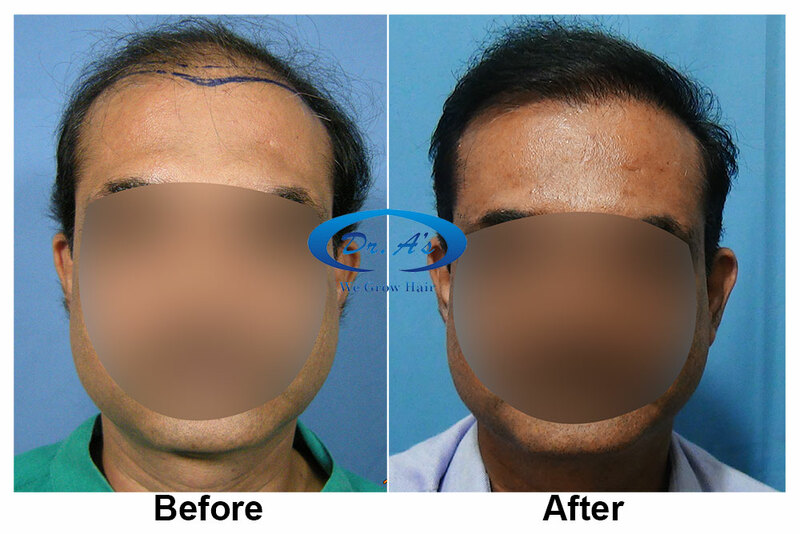 For more information, I would request to Dr. A’s Clinic to post scalp, beard and chest donor area pics before and after surgery, with additional pics to answer the query of reader.